Herbal Remedies are made from plants. 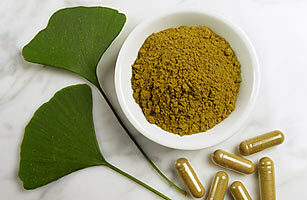 Herbal nutritional supplements are complements to your body's chemistry, working with your body instead of against it. They are generally nutrients as opposed to chemicals, that work into your blood system providing targeted areas of your body with added nutrition. They do not take the place of medical science, but they can help.. With herbal supplements the positive is nurturing your body. Natural Alternatives should always be your first option as very often the side effects of prescription drugs can lead to other health concerns. Urinary Tract Infections -prevent urinary tract infections, caused by bacteria that stick to the cell walls of the uterus and bladder. Alfalfa seeds contain stachydrine and homostachydrine, which promote menstruation and in some cases can lead to miscarriage. Alfalfa seeds can have an effect on cholesterol levels. Since alfalfa contains vitamin K, it may be wise to avoid taking it if you have heart or blood disorders or are taking a medication such as Warfarin. Should not used in combination with sedative drugs. Caution should be used when taking astragalus at the same time as diabetic, high blood pressure, anti-viral, or blood-thinning medications because of the potential for increased effects. Astragalus may interfere with immunosuppressive therapy. Black cohosh is one of the most popular herbal therapies for premenstrual discomfort, hot flushes and other climacteric and menopausal symptoms. risk of use during pregnancy or labor. Burdock is not recommended for children less than two years old, or for women who are pregnant or breastfeeding. If you are sensitive to daises, chrysanthemums, or ragweed, you may also experience an allergic reaction to burdock / Lapa Articum. Tinctures are not recommended for people with severe liver disease. Devil's Claw Should thus not be used in patients on oral anticoagulant and/or antiplatelet therapy. Calendula may affect the menstrual cycle and should not be used during pregnancy or nursing. Calendula may have a sedative action that can interact with medications. People with allergies to plants in the Aster/Compositae family, such as ragweed, chrysanthemums, marigolds, and daisies, are more likely to have an allergic reaction to calendula. Cascara sagrada can interact unfavorably with prescription medications. Cayenne may increase the risk of bleeding or potentiate the effects of warfarin therapy. Cayenne can increase the amount of absorption rate of other herbs and prescription medications due to its' heating properties. Use extreme caution around children. Copyright Effleurage. All Rights Reserved. 2013. Sitemap. Design by Magic Pixel.